Two new sales engineers are joining the Bender Italia S.r.l. team with immediate effect. 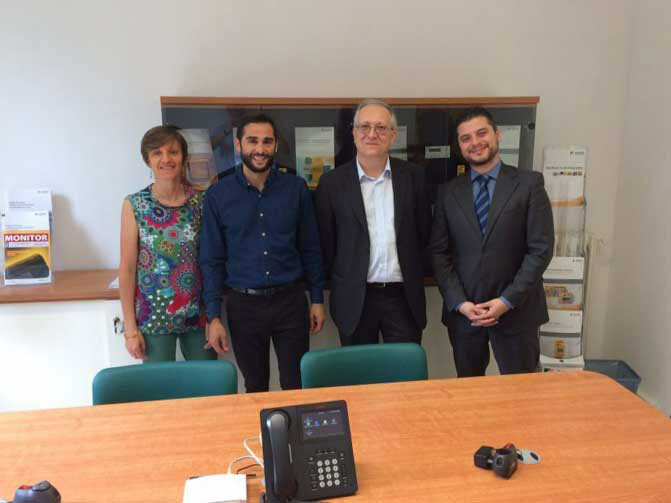 Marco Giglio and Danilo Martinucci started work in Milan on 01 May 2015. They will reinforce the Bender Italy team, led by Claudio Gariboldi, by handling the divisions of solar industry, critical infrastructures, vessel & harbour and the hospitals market. The two "newbies" will double the size of the Bender Italia team at a stroke. Marco Giglio is the main Bender contact for the solar industry and data centre applications. Danilo Martinucci is handling the market for shipping and hospital applications. Both colleagues are already working in close conjunction with the market segment managers for their areas in Grünberg. "These two new sales engineers will allow us not only to intensify our sales activities, but also to target them more specifically. Our aim is to triple revenue by 2018," explains Claudio Gariboldi with a smile. He has been the managing director of Bender Italia since it was founded in 2010.